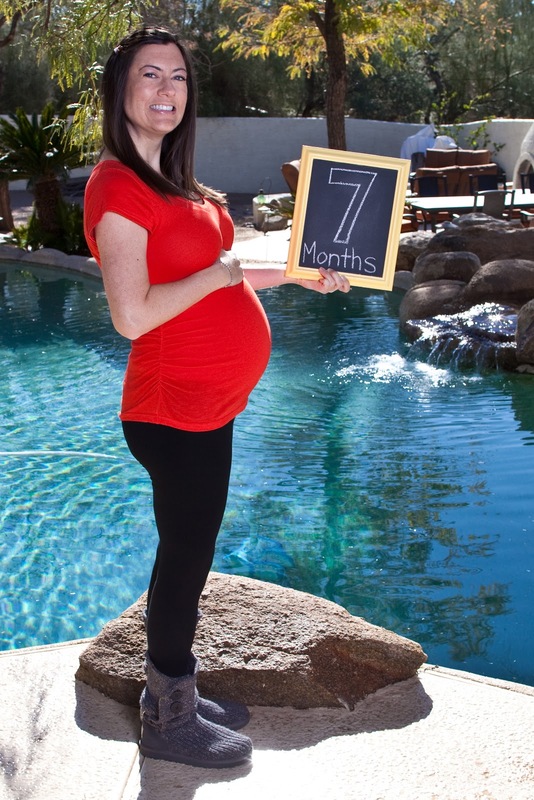 Maternity Clothes: We finally have cold weather here in Scottsdale so I’m having fun rocking maternity sweaters, maternity leggings and warm boots! Cravings: Sparkling water with lemon! My sweet husby bought me a Soda Stream for Christmas so I can now carbonate my own water at home! Our lemon tree is giving us tons of lemons right now, so I’m set! Movement: Our little night owl likes to kick daddy and wake him up in the middle of the night! We laugh that baby’s not even born yet, and already he or she is preventing us from sleeping. Aversions: None! Staying hydrated is helping keep away the third trimester nausea. Symptoms: Back pain (especially at night) and my first Braxton Hicks contractions! What I Miss: Being able to do the dishes comfortably. My belly bumps into the counter and I can’t reach our soap dish! Best Moment: My beautiful California Baby Shower thrown by my sweet mom and sisters. It was so wonderful to celebrate Baby Klein with friends and family. What I'm Looking Forward To: Nesting! With the holidays over, I have big plans to organize the house and prepare the baby’s room! So very cute! Love all the pictures, you look great! I definitely don't miss the braxton hicks. Glad you had a fun baby shower!